Benoy Tamang, who angered his party chief Bimal Gurung for suspending the bandh from 1 to 12 September, admitted the call had not really worked. Darjeeling Crisis: Mamata Banerjee and GJM leaders said they were positive after the talks. Siliguri: 89 days after Darjeeling shut down to demand a separate state and protest a bid to allegedly impose Bengali language in the hills, Chief Minister Mamata Banerjee today met several hill leaders, led by Benoy Tamang of Gorkha Janmukti Morcha, for talks that both sides said were positive. 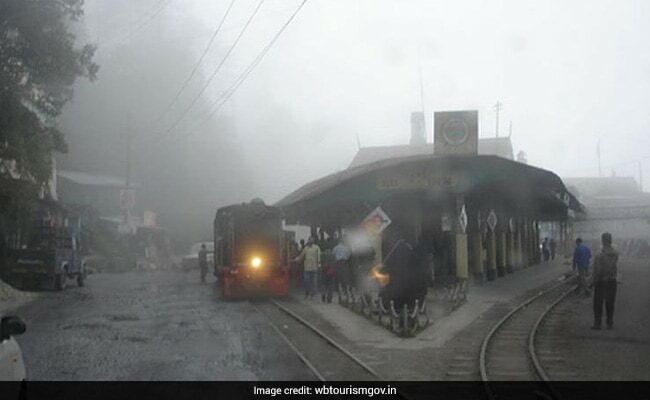 But will you be able to go to Darjeeling for the Durga Puja holidays? That is not clear. Benoy Tamang, who angered his party chief Bimal Gurung for suspending the bandh from 1 to 12 September, admitted the call had not really worked. "We will appeal to people in the next few days to open schools, business and shops," Mr Tamang said in Siliguri after the hour-long meeting with Ms Banerjee. Bimal Gurung, now in hiding as there is an arrest warrant out for him for several criminal cases, condemned Mr Tamang for the meeting. In an audio clip over Whatsapp, he said, "Not a single word said about Gorkhaland, police atrocities against Gorkhaland rallies continue. I will call off the bandh only after tripartite talks begin for Gorkhaland, political tri-partite talk with our MP and MLAs. " At Kurseong, Mr Gurung's supporters held rallies shouting slogans against Tamang. But the chief minister made significant concessions. Compensation to the families of at least 7 people killed in Darjeeling in the last three months and a high level probe into allegations of police firing. The administration has staunchly denied it so far. Ms Banerjee said Darjeeling is a much-loved part of Bengal adding that the demand of the hill people needed to be "permanently solved." She also offered financial incentives to government employees to get back to work right away. The next meeting will be held in Ms Banerjee's office on October 16.